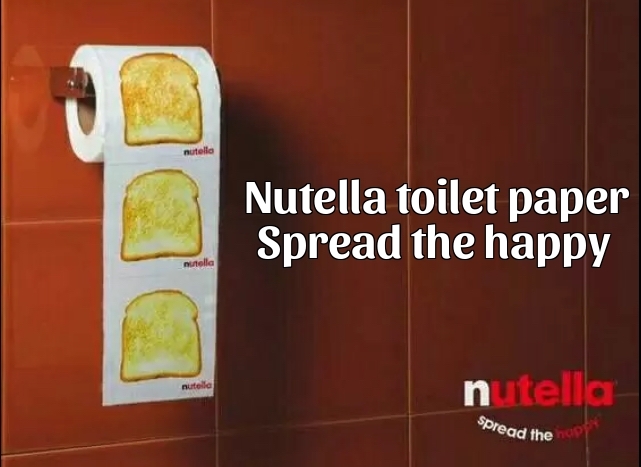 Nutella toilet paper. Spread the happy. Spinning chocolate display comes alive when you turn on the.. This high school senior has her future all planned out. When your beach towel is from Costco. Bowl it or roll it. Damn, I got the munchies already. When your Mom uses the entire set of mixing bowls to cut yo..
Just because these dogs are small doesn't mean they can't b..